Standard imprint (black + accent color), basic setup, PDF proof and Free Ground Shipping (US48; 1-Commercial Location). Not included. Mailing tube style 'B' and pullstring wrap style 'B. Basic custom imprint setup & PDF proof included! 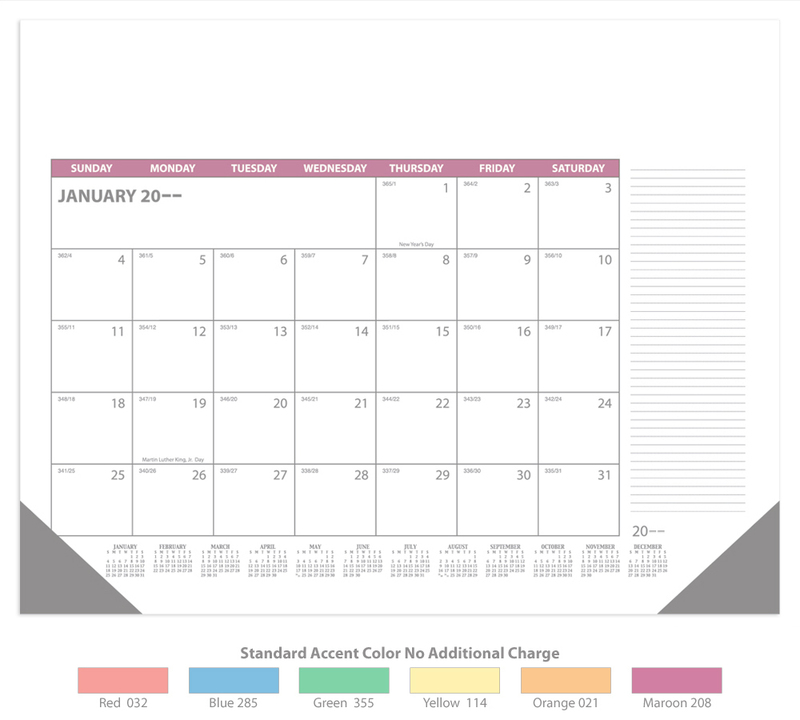 This 12-sheet Display-A-Month desk pad calendar features large date blocks and ruled lines down the side for memos. 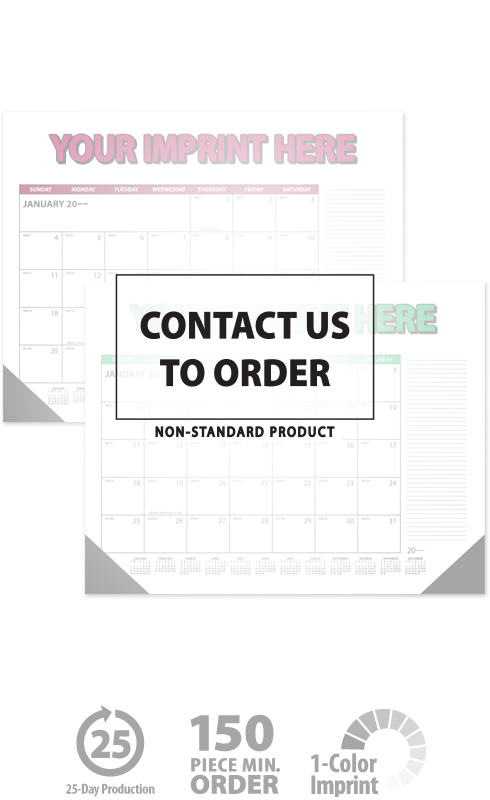 This desk pad calendar includes every sheet imprinting and black corners. Calendars are imprinted in black ink, plus the accent color chosen for the calendar. This high-quality desk pad calendar will proudly display your message for the entire year!